All too often people go through life doing things uninspired. Whether it’s a job, the food they cook or the way they keep their home, an uninspired action is rarely meaningful. Inspiration can be found everywhere. Indoors, outdoors, the physical, the mental, it’s in the conversations we have, the dreams we dream and the beauty of our surroundings. It’s in the movies we watch, the art we admire and the styles we are drawn to. We all have the ability to be inspired; all it takes is the right source of inspiration. The problem is we don’t always know where to find that source, and even if we do know, we don’t always have time to experience it. Life can be hectic, rushed and sometimes plain confusing. A long time ago, I was in a rut. I was tired of not being inspired. I didn’t have time to take long walks in nature, see a play or even read a good book. I knew I had to look for ways to add inspiration in my life without spending a lot of time or money. One morning I lay awake in bed feeling uninspired (and more than a little sleepy) and I found myself staring at thin vines swirling around petite blue flowers on my sheets. As I trailed the vines along their course, winding around another vine where white tulips made soft impressions with their bulbous petals, I realized something startling. It was beautiful. Not just the design (though it was rather exquisite), but the scene that was being portrayed. The feeling it gave me looking at those dainty flowers in my own imaginary private garden, was a fully satisfying feeling. I got out of bed that day feeling energized and optimistic. And wouldn’t you know, that feeling stayed with my for the whole day. After that experience, I made it a point to create a museum of inspiration in every room in my house, from the bedroom to the dining room and even the bathroom. 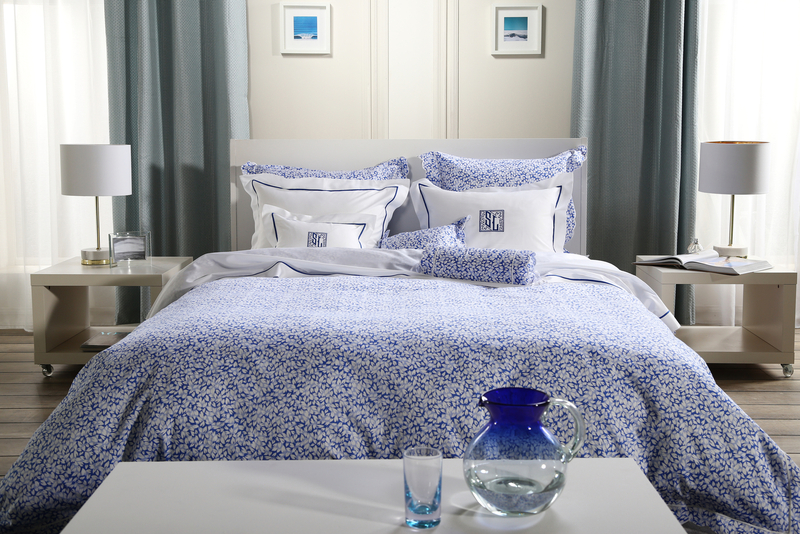 Carefully chosen towels, table settings and bedding were the doorways to finding inspiration on a daily basis. I found even on the most troubling of days there wasn’t a pattern, design or natural scene that couldn’t at least make me gain back a bit of that inspiration and lighten my mood, if even just a little. In my search for the most inspiring settings for my home, I marveled at the vast number of designs, styles and colors out there. There was a virtual timeline of histories, eras and movements being represented in some form, from baroque to bohemian. I could finally understand why people travel across the globe searching for new designs and unique styles. They weren’t just looking for something cool to showcase to their friends over dinner, they were looking for new perspective. Trying to find that special something that portrays the world from a different view and in doing so forces them to open up a part of them they might not know existed. In truth, they are looking for their own inspiration. The world is full of so many wonderful, beautiful things to capture the heart and imagination, if you just know where to look. I’m finding out more and more every day, sometimes you only have to open your eyes to find it. Since the home was the focal point of my inspiration haven, I started to identify the sources of inspiration found in some of my favorite designs and pattern. And since inspiration is something different for everyone, I thought I’d share those in the event that maybe one or two resonates with you – whether you’re looking to be inspired or not. It’s hard to think of something more inspiring than the natural world. I’ve had my breath stilled by mountainous horizons and been carried away somewhere else by the sweet scent of jasmine in my backyard. So it’s no surprise that from home furnishing to the clothes we buy, nature is one of primary sources of inspirations for its designs. Myself I’ve found a garden scene is exactly how I want to start and end my day but it’s not always that obvious. It goes beyond flowers and vines. Angles, circlets, waves, dots, you name it. Many of these flowing shapes and forms are representative of nature. Some see zigzag lines on a sham cover, others see the morning sea sending tiny sunlit ripples to the shore. I’d bet more than half of the designs made have some piece of nature behind it or within the artist that created it. And the best part is, nature is continuous and always surprising. Which means there’s no end to the inspiring shapes, designs and colors that it may bestow on us. If you’ve ever traveled to another country and gone on a tour, you’ll usually spend part of that time admiring the architecture. This is often a source of many designs and patterns. From the castle turrets of Ireland to the rococo style of French cathedrals, there is a rich pool of inspiration to draw from amidst the different styles, textures and strategic placement of materials. The next time you look at new bedding or towels, see if you can notice examples of architectural being reflected in the form, large or small. You’ll may find a presence of majestic angles, tall, graceful pillars and curved buttresses, as things like this sometimes serve as the foundation of a piece. 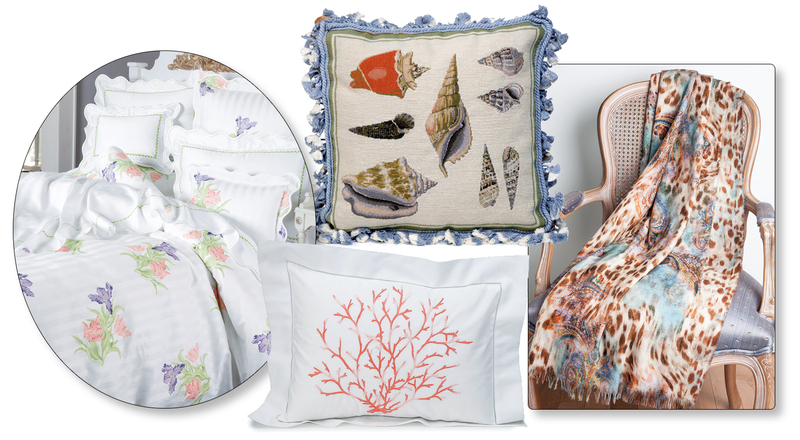 Since the actual designs and patterns of home furnishings can be considered art, this is a no brainer. And yet, there is value in trying to understand the original inspiration for the design or a specific pattern. The reasoning behind a style or group of colors can often be traced back to a painting that moved someone, a sculpture that captured someone’s imagination or a song that made someone feel something that needed to be expressed with physical form. Perhaps this is also the best way to explain just how powerful it can be to create rooms throughout your home that move you or inspire you. In a way you are adding art to every corner, wall and mattress. The most influential parts of what make us who we are can be attributed to history and what has happened in the past. And we’re not talking color, race or religion. Events shape us, stories teach us and designs capture elements of the past, they remind us to look back with reverence or look forward with anticipation. These reflections of the past remind us of who we are and who we once were: warriors, farmers, philosophers, explorers and dreamers, all making up the tapestry of life. 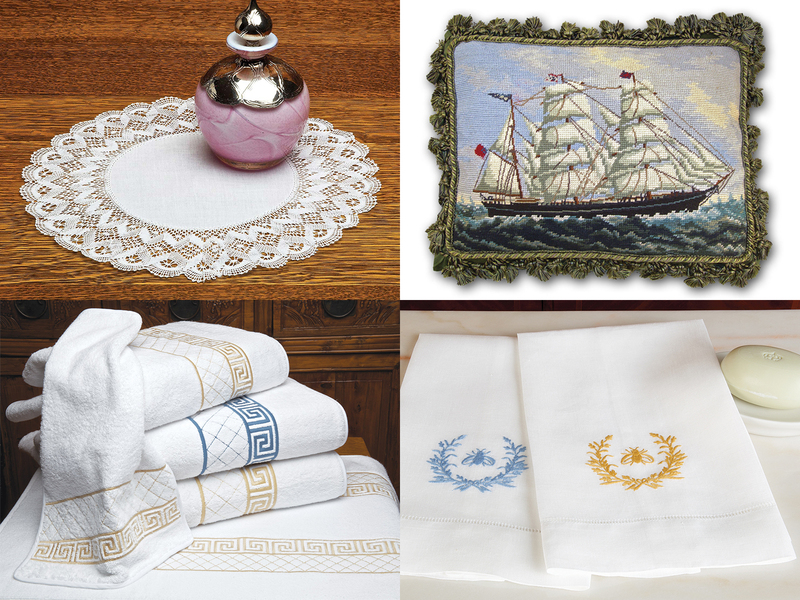 Whether it’s a throw designed with an actual representation of a history scene or the tiniest glimmer of a past story or event, these things make our homes and lives richer. At the core of inspiration this is truly the beating heart. It’s the well that when tapped pours out the beauty, love and passion that make our lives worth living. It’s the goal of every artist, craftsman and innovator to stir, provoke, enlighten and even sometime sadden with their work. It’s about invoking those emotions and not quite being the same after the experience. This is why it’s so important to surround yourself with experiences that spark the emotions and feelings you want in your world everyday. When you create your home’s environment, you are creating pools of reflective waters that can show you what you want to see, make you feel the way you want to feel, and when done right, enrich your life every day. This is a very powerful thing. 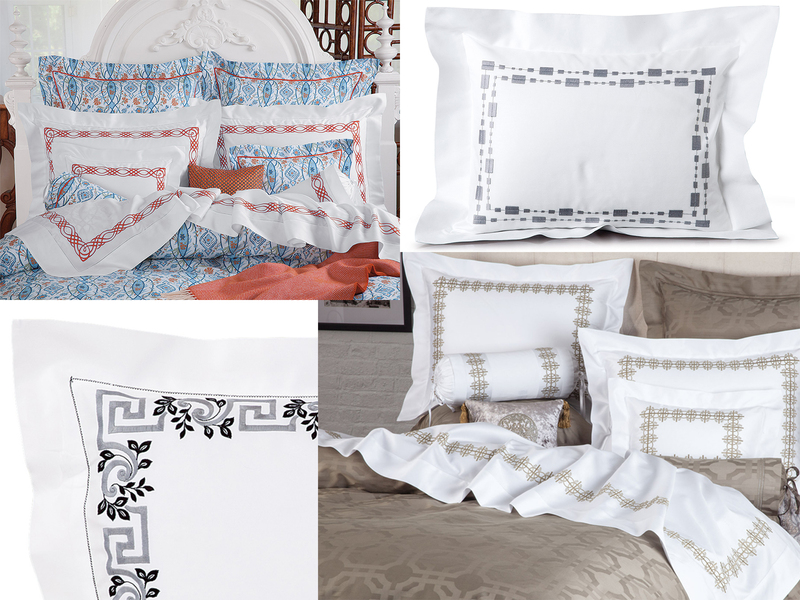 Taking the time to find your inspiration, and perhaps more importantly admit you could use more in your life, you will find bedding that livens your spirits, table settings that evoke feelings of prosperity, peace and happiness for you and your guests, and an overall setting that makes you better as a whole.